The Integrated Virtual Learning Environment (IVLE) is undergoing a major revamp. The new interface is already available if you want to use it. While the new IVLE looks very different, the majority of the functions have been retained. New users should find their initial experience of IVLE less daunting. Existing users will probably need to get used to the interface, but CIT is confident that the new IVLE offers a more streamlined experience while retaining the many features that has made it indispensable in NUS. Lecturers can now include short quizzes into their videos that will allow students to test their understanding as they watch the video, especially after a key concept has been explained. 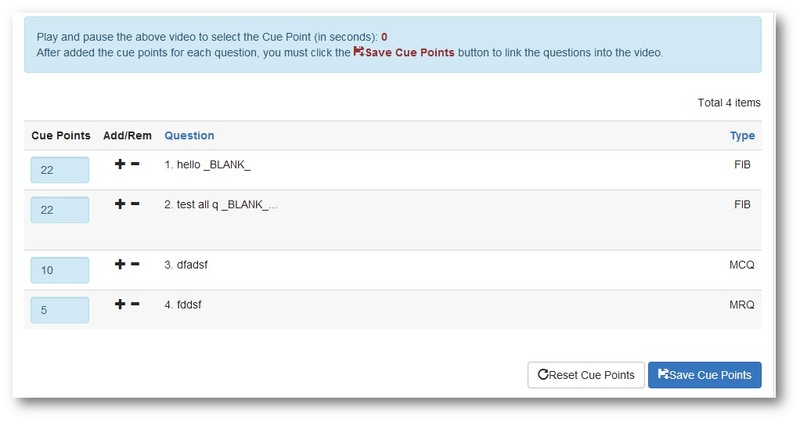 When it is time for an in-video quiz, the video will pause, and students can see a question and answer options on the screen. On the video's playback progress bar, there are question markers for students. Red indicates questions answered wrongly, green indicates questions answered correctly and yellow indicates skipped questions. This feature is applicable to uploaded videos only. It does not apply to webcasts. Lecturers can now include a promotional video - if they have one - for their modules. A promo video, usually produced for internal blended learning online courses (iBLOCs), serves as a succinct video summary of your course. Lecturers can easily switch their module from a normal module to a flipped module with just one click. 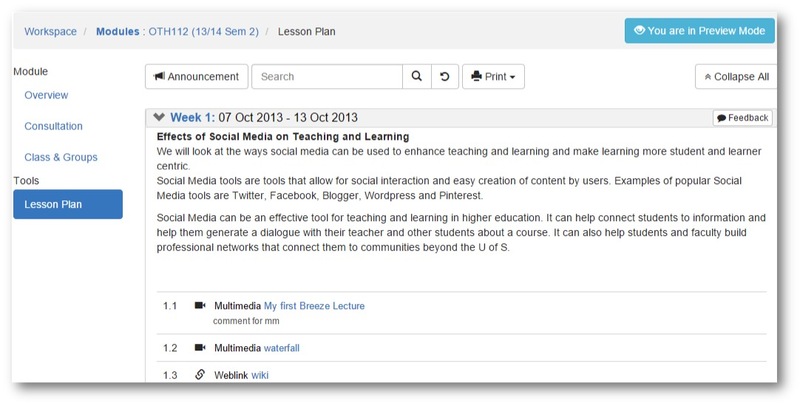 Once the lecturer has chosen the flipped option, students will access the resources or tools via the Lesson Plan (weekly/topic view instead of tool view). The flipped classroom is a pedagogical model in which the typical lecture and homework elements of a course are reversed. Short video lectures are viewed by students at home before class, while in-class time is devoted to exercises, projects or discussions. 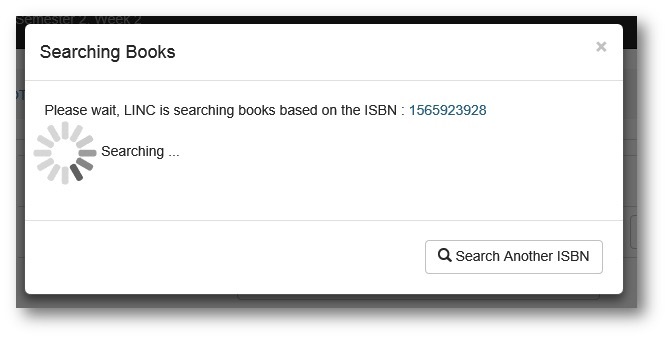 In the Text & Readings section of Module information, lecturers can search the ISBN in LINC. The book’s information - book title, author, edition and the publication year - will be displayed automatically. Lecturers can specify a particular topic to be sticky in the Forums. This allows a topic to be stuck or pinned to the top regardless of more recent posted items. In the current IVLE workspace, click The NEW IVLE banner below Notifications on the right-hand column. If you prefer the new interface, you have the option of making it your default workspace. Posted in 2015-01 and tagged IVLE on 30 January 2015 by LEONG Miew Cheng.